Waking up in the early hours of a Friday morning (7:30am is practically the middle of the night for a student), I hurriedly got ready for the event I had been waiting months for. My outfit, precisely put together, was already hung on the outside of my wardrobe door waiting for me. I had spent weeks putting the perfect outfit together, choosing a 'country inspired' 'schoolgirl chic' look, I wore a denim shirt tucked into a belted grey mini skirt, knee length socks, my trusty tan satchel and my gorgeous knitted aran cardigan from Topshop. I just had time to loosely curl my hair before I boarded a train to Birmingham on the 10th December, expectations were high for the Clothes Show live exhibition. As an avid fashion follower, I had been to the ClothesShow every year since 2008 and this year the event did not disappoint. 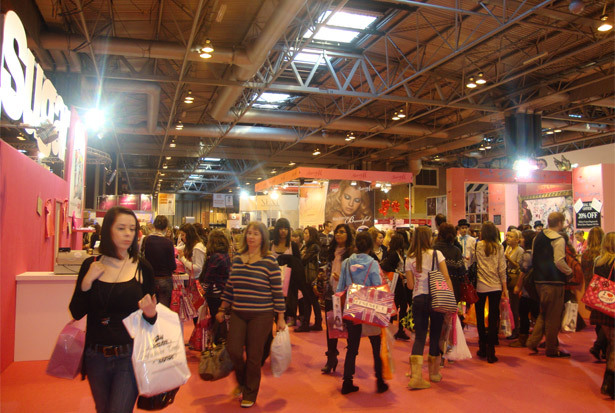 The Clothes Show is essentially a huge market – think Camden under the glare of arena lights. The entire place was swarmed by thousands of teenagers, so elbows at the ready, I entered the enormous space and was not disappointed by the sheer scale of the event. If it wasn't for already being in my overdraft, the bank account would have braced itself for an onslaught. The day consisted mostly of getting separated from friends and hopelessly lost. The event was a great outlet for showcasing innovative, bright university talent, with many of the country’s top fashion and design courses displaying some of their students’ work. This year I was fortunate enough to acquire a press pass, meaning I had backstage access to the event. Studying Journalism really does have its benefits after all! The show was presented by legendary Gok Wan, who was wearing a glitzy silver sequin jacket and black skinnys. He did a great job at warming the crowd up and flirting with the male models. There were many performances from boy bands who to be honest I had never heard of before, but the screaming girls in front seemed to approve of. Lastly ex contestant of the X-factor Lucy Jones took to the stage singing a cover of Katy Perry's 'Fireworks'. The catwalk was timed to perfection and as complex as any other runway show, with some strikingly beautiful clothes and professional models making an unmissable fashion performance.